← New caravan. Bailey Unicorn Madrid III first impressions. 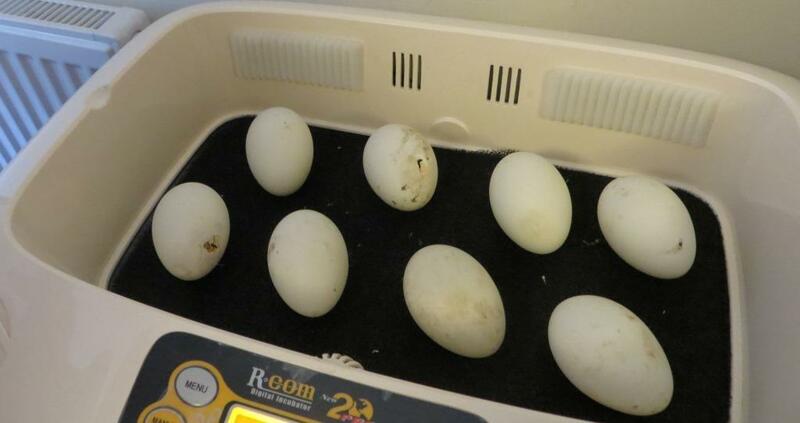 Last time we attempted to hatch ducks, we had a fairly low success rate, so we’re hoping for better this time. 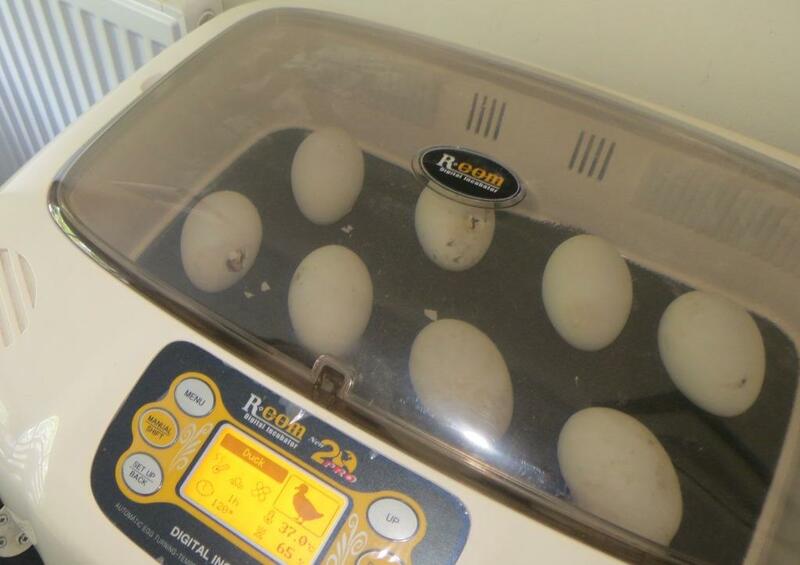 Our R-com 20 incubator has a digital program for different types of eggs, but the duck settings have a humidity of 60% during the final hatching phase, whereas most advice seems to be anything up to 75%. As a compromise I’ve set it to 65%, so we shall see what happens. 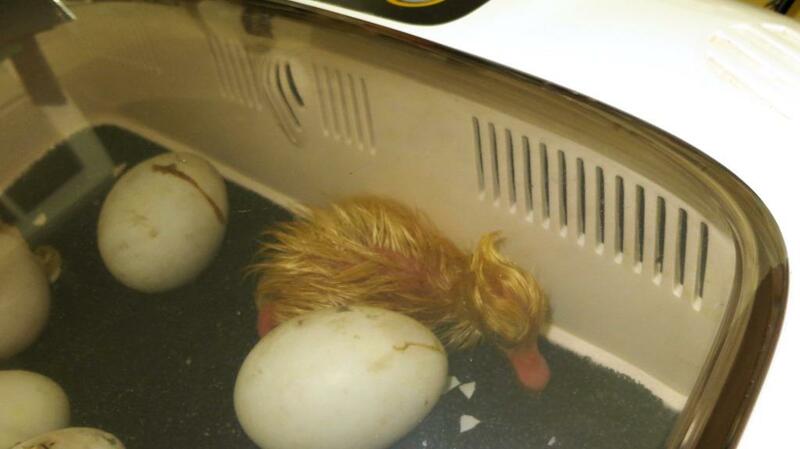 With a full two days to go before the “due date”, the first duckling has emerged. 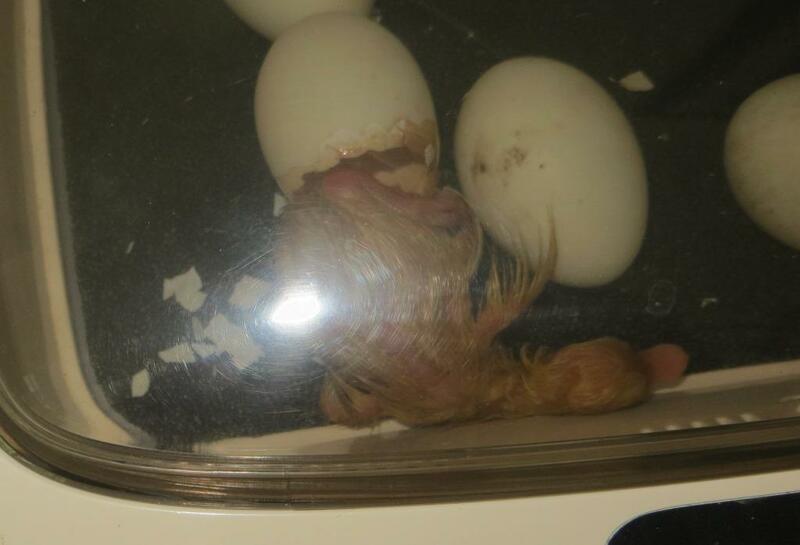 Here is the hatch in pictures. Apologies for the reflection of the flash, but I didn’t want to keep lifting the lid and disturbing the temperature and humidity. The front row left hand side is rocking to and fro. 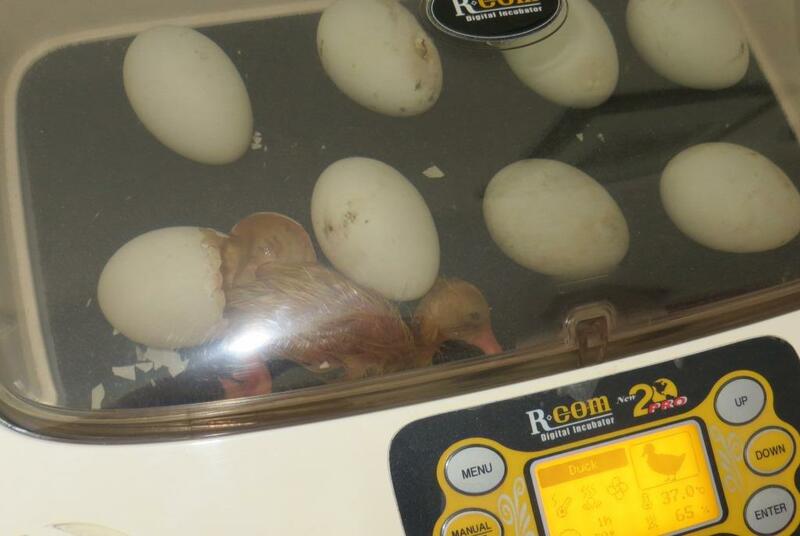 And cheeping. 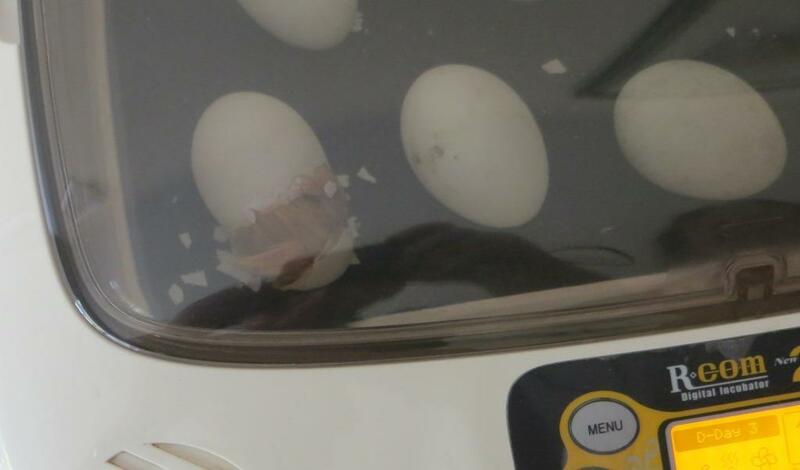 Quite quickly the duckling works her way round the shell. 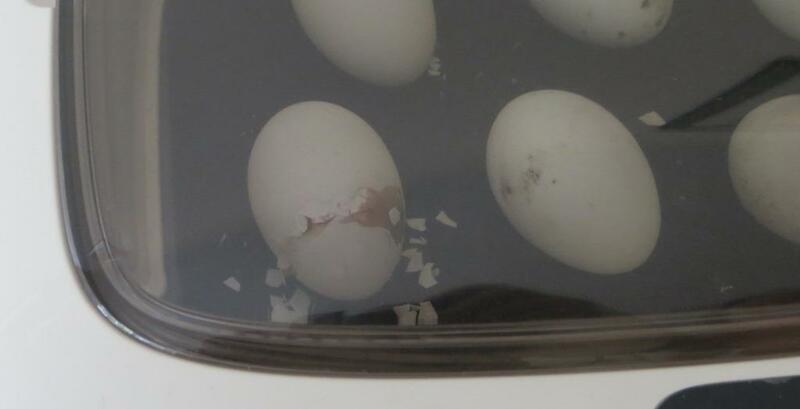 And as we watch, the top of the shell detaches completely. … and suddenly she emerges completely. 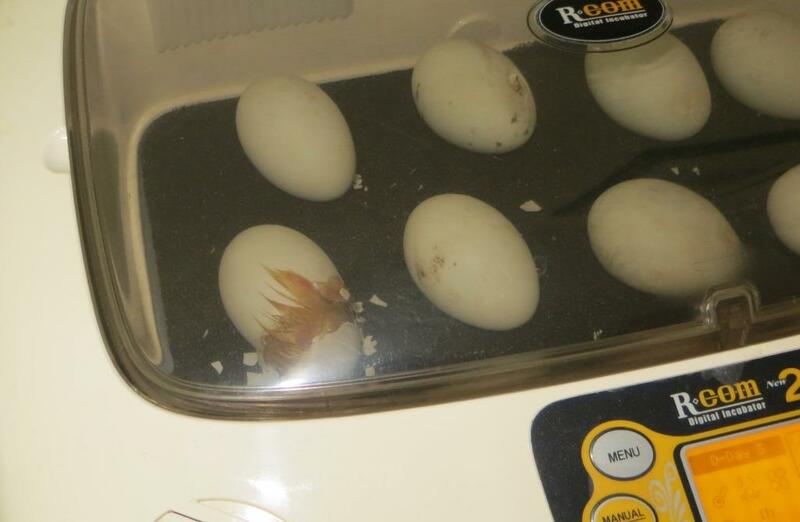 Newly hatched, she’s still attached to the remains of the yolk sac in the shell. 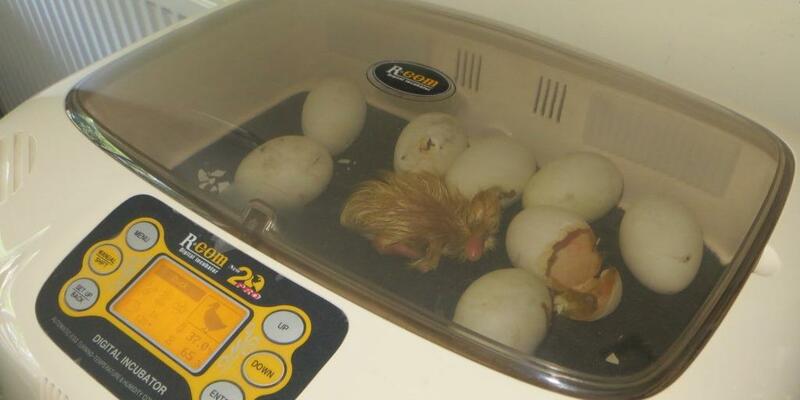 After a minute’s rest, she’s exploring, and loving the warm air stream from the incubator fans. It doesn’t take long to break the link to the shell. And to find a cozy place to dry out and recover her strength. 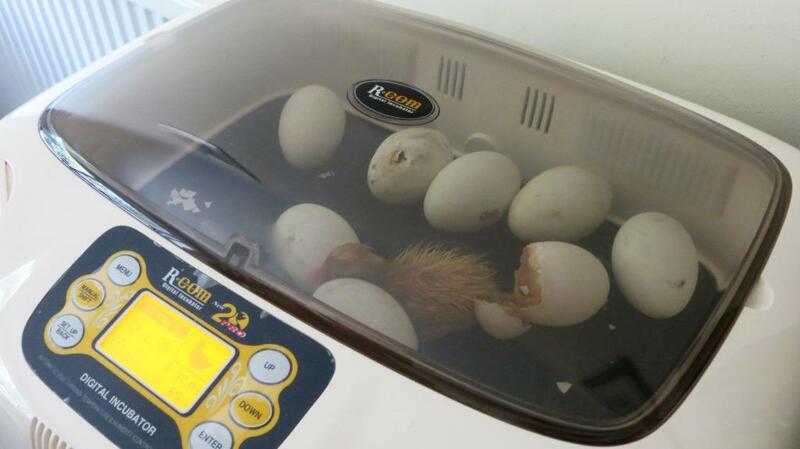 This entry was posted in Allotments, Poultry and tagged Duck hatching, hatching eggs, R-Com 20 incubator. Bookmark the permalink.